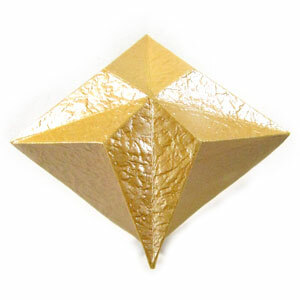 If you tilt the star a little, you will find the origami star with a diamond shape. You have completed making a 3D four-pointed origami star. Now, you have completed making 3D four-pointed origami paper star.